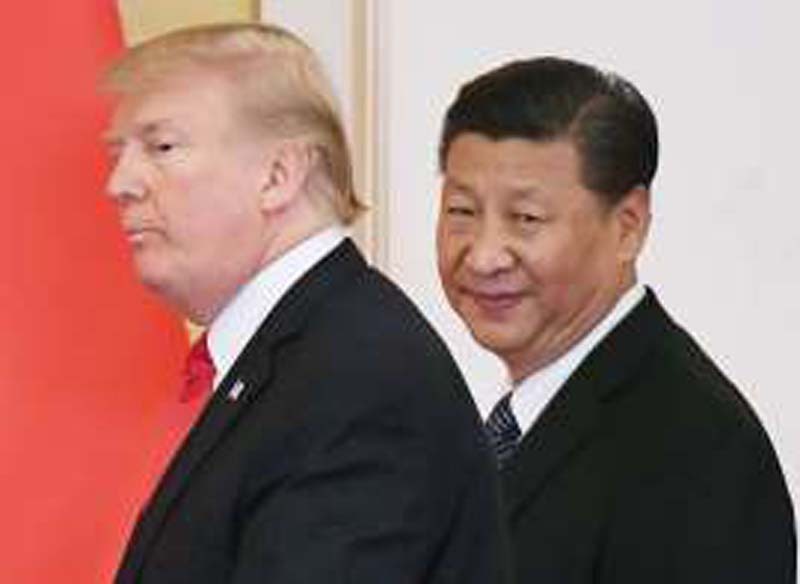 President Donald Trump’s decision to impose tariffs on imports from China is a “symptom of paranoid delusions,” China’s state-run media announced Friday as the two countries ramp up their threats of a full-scale trade war. “The woes the administration is inflicting on Chinese companies do not simply translate into boons for U.S. enterprises and the U.S. economy,” the official China Dailysaid in an editorial. “The fast-shrinking Chinese investment in the U.S. reflects the damage being done to China-U.S.-trade relations ... by the trade crusade of Trump and his trade hawks,” it added. On June 15, Trump released two lists of Chinese products that his administration plans to slam with tariffs of around 25 percent starting next month. The administration already imposed tariffs of up to 25 percent on Chinese steel, aluminum and other products like solar panels and washing machines—and has routinely accused China of stealing intellectual property from U.S. companies. Beijing, meanwhile, has accused the U.S. of violating international trade norms, and has said that it will hit back with its own set of tariffs against U.S. imports. Officials in China said their country's tariffs would be “qualitative and quantitative.” Trump responded to China’s statement by threatening to impose even more tariffs, leading many to fear that a full-scale trade war is about to break out. Some analysts say that leaders from the two countries are waiting to see who will back down first so that real trade negotiations can take place. Chinese media argued on Friday that the U.S. administration is failing to recognize that it is the U.S. that will be hurt by Trump’s trade war. U.S. economists, meanwhile, agree that U.S. consumers and workers will be among the first to feel the impact of Trump’s trade war. “The tariffs enacted so far by the Trump administration would reduce long-run GDP by 0.06 percent ($15 billion) and wages by 0.04 percent and eliminate 48,585 full-time equivalent jobs,” according to a report by the Tax Foundation. “If the Trump administration enacts additional tariffs on automobiles and parts and additional Chinese tariffs, GDP would fall by an additional 0.3 percent ($82.3 billion), resulting in 0.2 percent lower wages and 255,283 fewer full-time equivalent jobs," it added. Still, one recent report from the Patterson Institute for International Economics suggests that U.S. consumers will feel less of an impact from the latest round of tariffs announced on June 15, since only 1 percent of the items on that list are consumer products. U.S. farmers, especially those producing and exporting soy and pork, will be disproportionately impacted by China’s retaliatory tariffs, however. For that reason, even many Republicans have opposed the idea of a trade war with China. Nevertheless, Trump has complained about China’s unfair trade advantages for decades, and many analysts were surprised that he didn’t start a trade war with China earlier in his term.